Magnet wire is super useful stuff, and when you need it there's nothing else that will work. 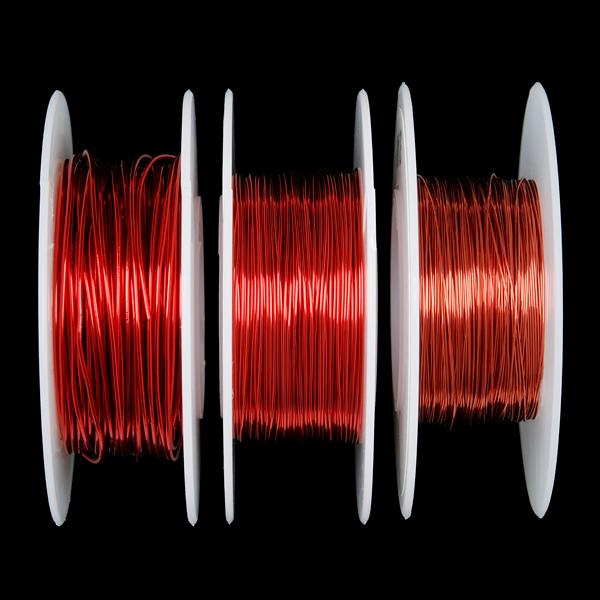 Whether you're winding a transformer or choke, fashioning your own motors or just playing with electromagnetism in general, nothing beats this thin-gauge enameled wire. 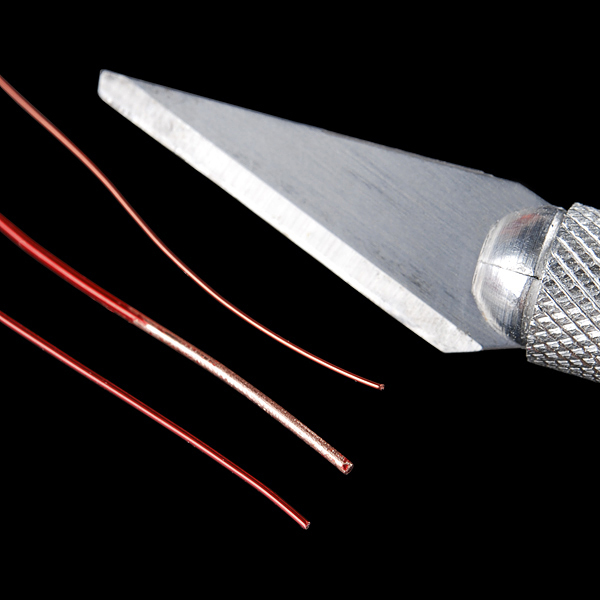 This kit comes with three common gauges of wire: 22, 26 and 30AWG. Everyone has his or her own method for removing the enamel insulation and make a connection to this stuff, but a little abrasion with some sandpaper or scraping with a hobby knife works well. If you have an open flame handy, you can burn the enamel off as well, just be careful! 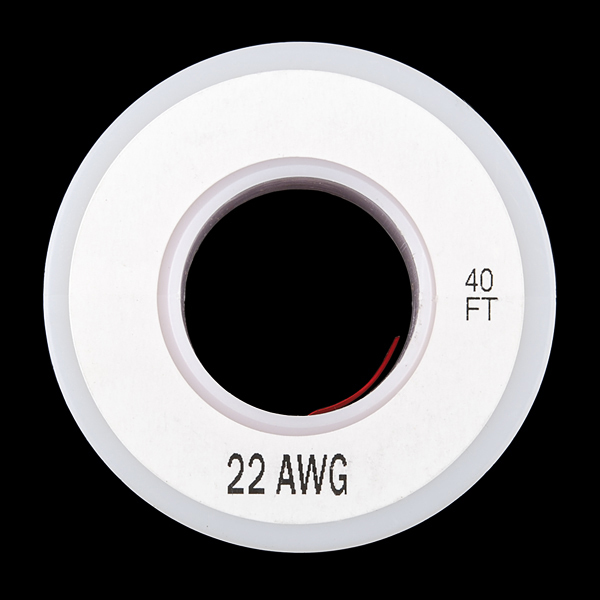 The interior diameter of the plastic spool is 25.63mm or 1 inch (ish). Looking for an inspiration with the magnet wire? Check out the Levitating Light project. 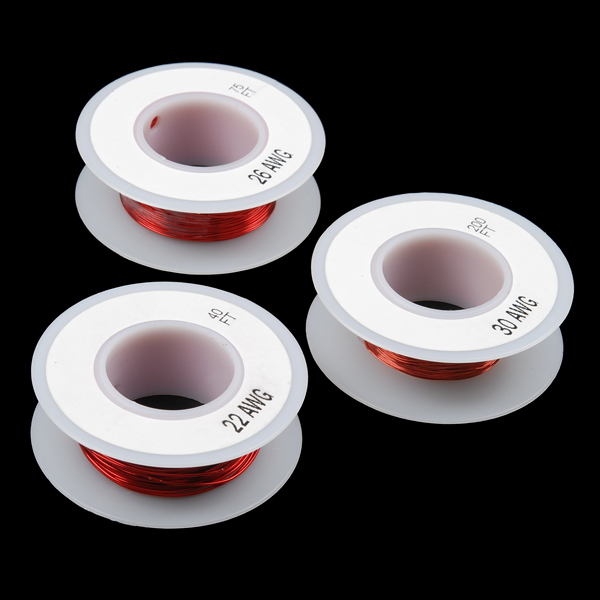 Maybe three bundles of different color magnet wires for brushless motor wiring or other uses. The enamel isolation is probably based on isocyanates which are highly poisonous if you burn them. The best way to remove the insulation is by purely mechanical methods, for example scraping or sanding. When will this be in stock again? It's like a fundamental part of the hobbyist/DIY arsenal. I do wish Sparkfun would carry some ferrite cores to use with these. Also, as another reviewer mentioned, most people don't need three separate gauges of magnet wire. Ah well, to Amazon it is! Very useful for reworking fine pitch parts, wiring micro air vehicles, making joule thiefs. Now you just need the ferrite cores. 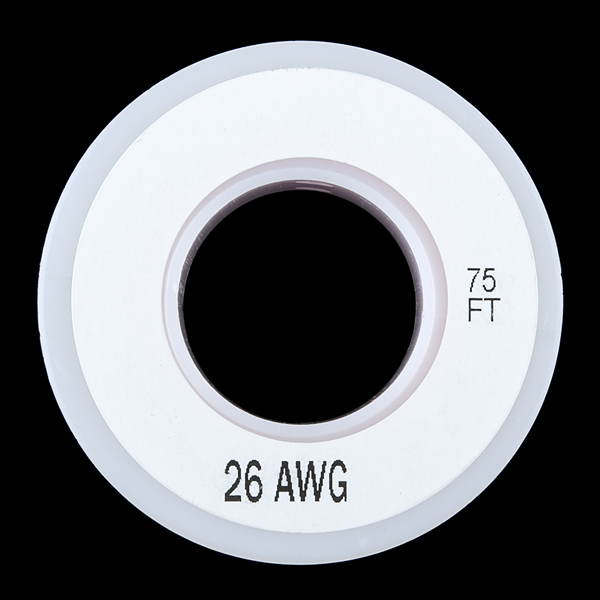 Yup, this all I use for reworking super fine pitch parts, I use 36 awg. 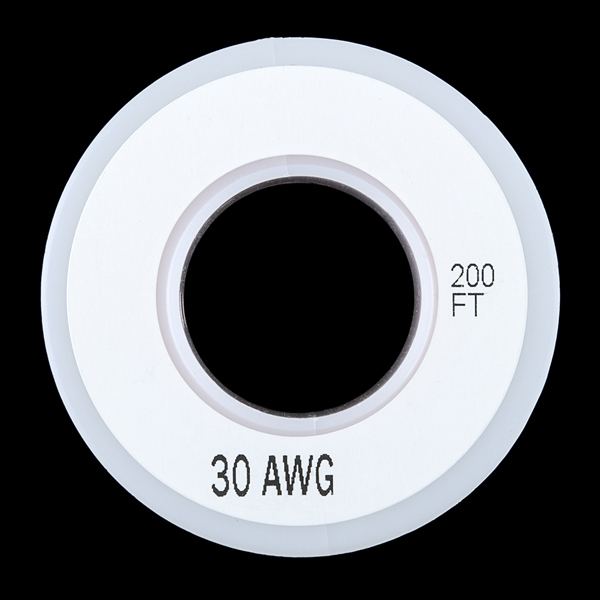 This is a good price, I've seen 1000 ft spools for over 100 bucks. A must have in your arsenal for sure. This stuff is awesome. Sadly though I had to knock it by one star when halfway down my 5 inch radio coil there was a kink wound into the spool. Luckily I was tapping this one and only had to back up a couple rows to cut/solder at the previous tap ... but it was still annoying. Also wish you guys carried larger spools. These are plenty long for most people doing toroid windings on magnets and such, though. Good set, hard enough insulation but can be scratched off. The wire is great, just what I needed. I got it in perfect condition and in a timely manner. I am currently working on my next order. I will continue to order from SparkFun. Great Job Everyone. Good for experimenting with magnetism.